1. 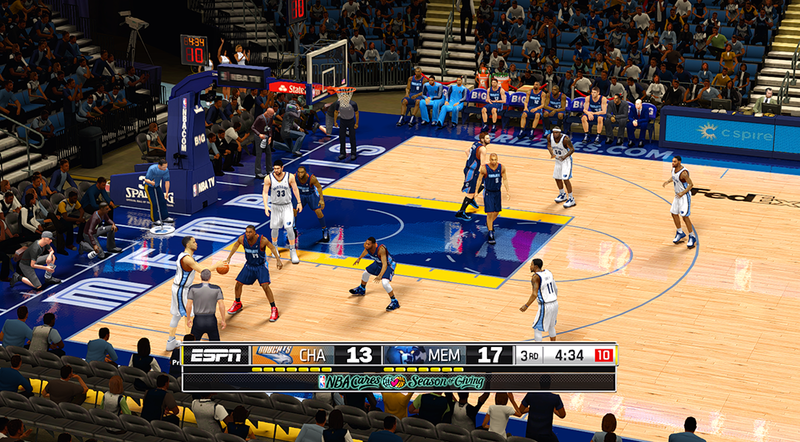 Download the ESPN scoreboard patch. 3. 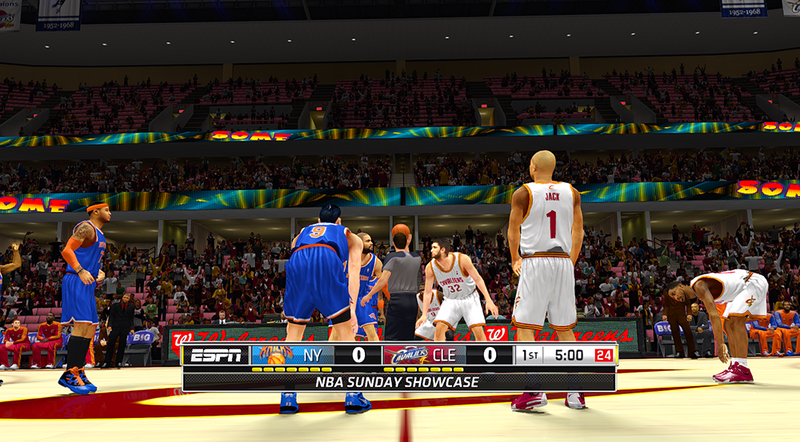 Choose between the 16:9 and 16:10 version. 4. 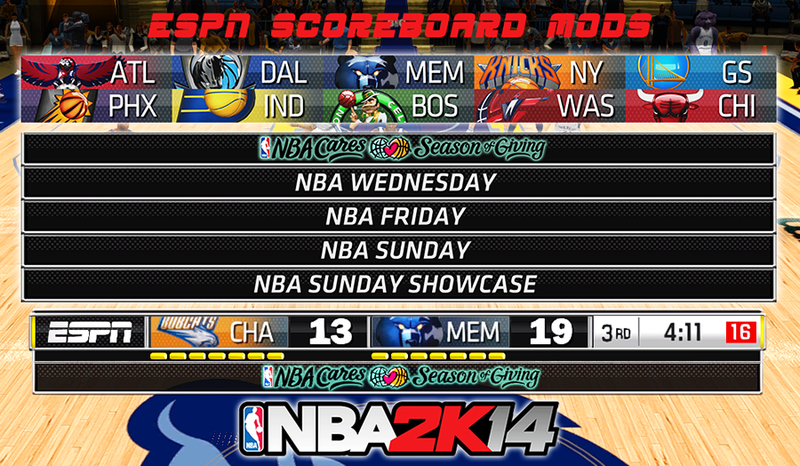 Select the ESPN scoreboard (newscorebug.iff) of your choice and paste it to NBA 2K14 game folder. 5. 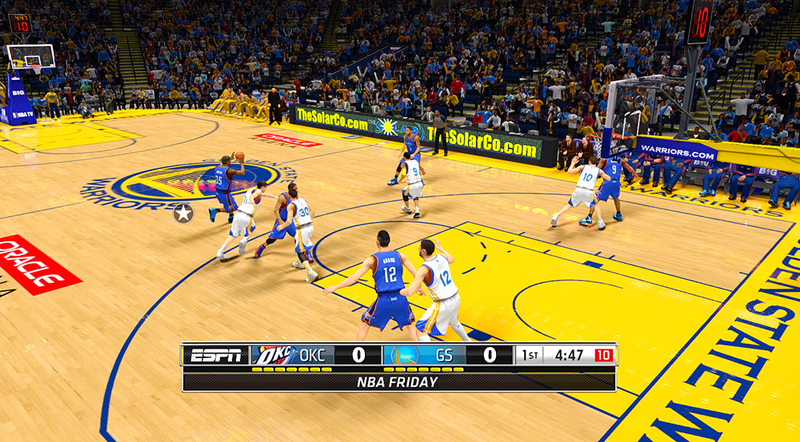 Install the primary teams logos (english.iff + logo###.iff) in your NBA 2K14 game folder. Optional: Install new primary or secondary logos.